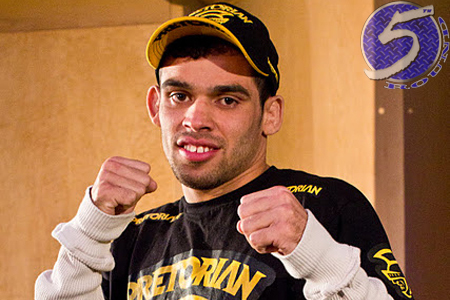 What do UFC bantamweight champion Dominick Cruz and interim 135-pound champ Renan Barao (pictured) now have in common? They are both injured. Cruz has been out with various wounds since October 2011, hence the need for a manufactured bantamweight belt, but it was reported Saturday by Brazilian website Tatame that Barao has suffered a foot injury that will force him out of next month’s title defense against Eddie Wineland. UFC officials have yet to confirm UFC 161‘s featured attraction is in jeopardy. Barao successfully defended his title by submitting up-and-coming Michael McDonald in February at UFC on FUEL TV 7. The Brazilian captured the vacant interim crown the bout prior by beating Urijah Faber. As the lineup currently stands, light heavyweights Mauricio “Shogun” Rua and Antonio Rogerio Nogueira serve as the co-main event. MTS Centre in Winnipeg, Canada hosts the June 15 festivities.